Your home is where you live. It's the place where you begin and end each day, spend each night, and raise your family. It's your place -- your personal environment. It's where you live. Looking at it that way, it's easy to understand why at Dayton Pest Control, we look at residential pest control somewhat differently than most other pest control companies. We look at a house as almost a living thing, because it almost is. We treat homes like doctors treat patients, always looking for the most effective treatments that carry the fewest side effects. Your home is where you live. IPM doesn't completely exclude the use of pesticides. But it does rely on non-chemical control methods as a means of reducing pesticide use. Pesticides are used when necessary, but only in the amounts needed, only where they are needed, and in a precise manner that minimizes exposure to humans, domestic animals, and non-target organisms. In addition, when pesticides are necessary, the least-toxic products that will be effective against the pest in question are the ones chosen. In practice, this often means the use of natural products like botanicals, borates, and desiccants. For some problems (such as stinging insects or most wildlife problems), only one treatment or a short series of treatments may be needed, provided that conducive conditions are corrected. For other problems, ongoing periodic visits to inspect and/or perform treatments as necessary may be advisable. In recent years, outside-only pest control has become a very popular residential option. Most common residential pest problems originate from outside the home, and a program of carefully-timed seasonal visits can often prevent these pests from becoming problems inside the home without our ever having to set foot inside the house. 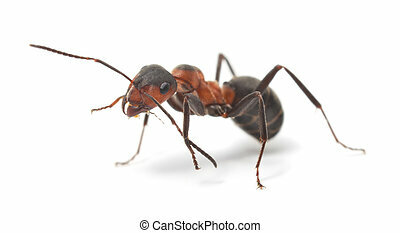 For example, ants and crickets are common nuisance pests in the Miami Valley. Once they get inside a home, they can be difficult to eradicate. But a well-timed application of a borate or other low-toxicity insecticide outside the home can dramatically reduce or completely eliminate the problem before the insects get inside. Stinging insects are another example. Once yellow jackets, bees, or hornets build a nest inside a home, they can be difficult to get rid of. Well-timed exterior services can reduce the chances of that happening. Please contact us for more information about any of our residential pest control services. We look forward to your call. Dayton Pest Control provides high-quality residential pest control in Dayton and Ohio's Miami Valley, including the cities and towns of Beavercreek, Bellbrook, Blanchester, Brookville, Carlisle, Centerville, Eaton, Englewood, Fairborn, Farmersville, Germantown, Gratis, Greenville, Kettering, Lebanon, Lewisburg, Medway, Miamisburg, Middletown, New Lebanon, New Oakwood, New Vienna, Port William, Sabina, Springboro, Springfield, Trotwood, Troy, Union, Vandalia, Waynesville, West Carrollton, Wilmington, and Xenia; and the Ohio counties of Butler, Clark, Greene, Miami, Montgomery, Preble, and Warren.